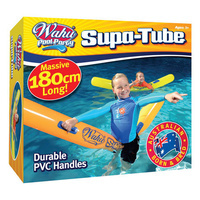 Wahu Pool Party Supa Tube | Measuring a whopping 1.8 metres long when inflated! Inflates to 1.8 metres long! With sturdy handle grips for safety! 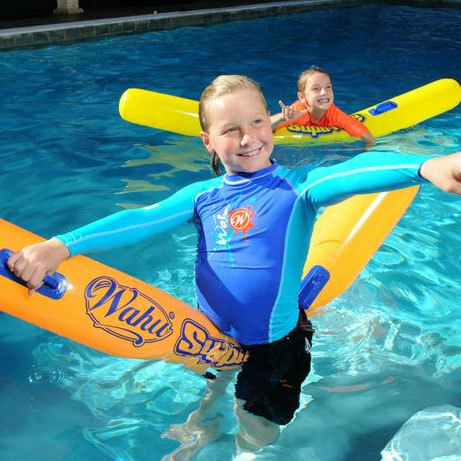 Wahu Supa Tube is an inflatable pool noodle! 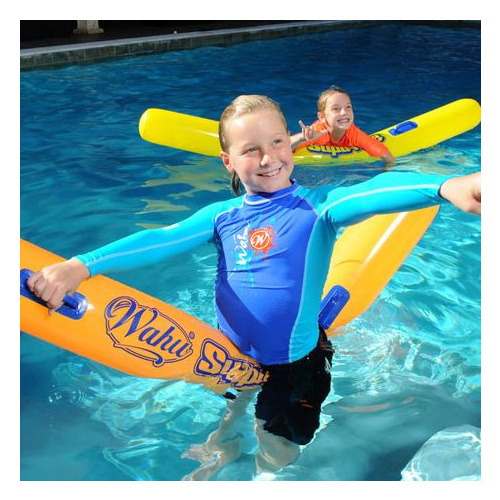 It's quick and easy to inflate, and easily portable too! Measuring a whopping 1.8 metres long when inflated, your Supa Tube features a strong PVC finish with sturdy handles! Available in fantastic 4 colours - pink, green, orange and yellow (chosen at random). Please note: If you have a particular colour in mind, please made a note in your order comments and we will do out best to fulfil your request based on availability. We cannot guarantee a particular colour.